Sponsor since 2010 - Honda Canada Inc., a division of the Honda Motor Company, is the most popular automobile manufacturer in Southern Ontario and the nation's second largest manufacturer of cars and light trucks. Honda holds title to the Hall of Fame's central exhibit, the NHL Zone. Sponsor since 1993 - Esso, a brand of Imperial Oil Limited and Canada's largest petroleum refiner, holds title branding to the Great Hall, home of the Stanley Cup and Honoured Member plaques, as well as the HHOF Honoured Members online section. The company's extensive hockey association dates back to sponsoring hockey's first national and international radio broadcast in 1936 and subsequent first television broadcast in 1952. Sponsor since 1997 - The International Ice Hockey Federation (IIHF) is the governing body of international ice hockey and its 73-member country associations. The IIHF has partnered with HHOF on the joint venture, Images on Ice, a comprehensive digital hockey photography service for news media, publishers, and licensees, which photographs all top-tier IIHF championships. The organization's rich history and global presence is featured throughout the 6,000 sq/ft World of Hockey Zone within the Hall of Fame, including its wall of IIHF Hall of Fame members. Sponsor since 1993 - The National Hockey League (NHL) is the premiere professional hockey league in North America and the nation's most prominent sports league. Formed in 1917, the league has expanded to 30 teams throughout Canada and the United States. The NHL's immense impact and role on the game of hockey is on display throughout the 6,000 sq/ft NHL Zone, the central area of the Hall of Fame, including showcases featuring the legends of hockey and Stanley Cup rings. Sponsor since 1993 - The National Hockey League Players' Association (NHLPA) is the union representing the professional hockey players under contract to the 31 member clubs in the National Hockey League. The association holds title branding to the Be A Player Zone, the HHOF's primary interactive area and location of the Shoot Out and Shoot Out and Shut Out games located within the zone's 2,400 square foot simulated rink, as well as title to the HHOF NHL Player Search online section. Sponsor since 2014 – Scotiabank is a leading financial services provider in over 55 countries and is recognized as Canada's most international bank. In addition to its sponsorship of HHOF, whereby it serves as the "Official and Exclusive Bank/Financial Institution of the Hockey Hall of Fame", Scotiabank is involved with far-reaching sponsor-based hockey initiatives, ranging from those associated with grassroots hockey programs to the National Hockey League. Sponsor since 1993 - TSN/RDS, Canada's leading sports TV network and major broadcaster of hockey, including the NHL and World Championships, holds title branding to the Broadcast Zone, an interactive exploration of the nuances and evolution of television hockey broadcasting, as well as title to the Hall of Fame's fixed-seated theatre that is currently screening Stanley Game Seven, hockey's first 3D film. TSN/RDS also sponsors the HHOF Stanley Cup Journal online section. Sponsor since 2001 - The Upper Deck Company, the leading sports and entertainment trading card and collectibles company, holds title sponsor to the Collectors' Corner exhibit within the Hall of Fame and produces exclusive lines of HHOF-themed trading cards. Sponsor since 2013 - Tim Hortons, Canada's largest fast food service chain with over 3,600 restaurants nationwide, holds title sponsor to the Hockey Hall of Fame's west Theatre, and is a presenting sponsor of the annual Induction Weekend/Celebration. The company is renowned for its Timbits Minor Hockey Program, a community-based, grassroots sponsorship program for children aged four to eight years old at the house league level. 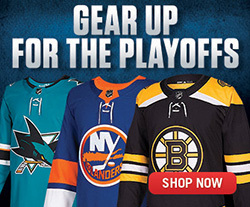 Sponsor since 2017 – adidas Canada Limited, a subsidiary of adidas AG, the second largest sportswear manufactures in the world, is the official outfitter of uniforms and licensed apparel for the National Hockey League. adidas is a co-presenting sponsor of the Hockey Hall of Fame Legends Classic as well as the outfitter of the game's jerseys. Sponsor since 2018 - Baron Championship Rings, a Canadian-based company that designs and produces custom jewelry, including commemorative rings and pendants for a vast clientele ranging from NBA and WNBA championship organizations to Memorial Cup champions, crafts each Hockey Hall of Fame Honoured Member Ring for newly inducted individuals and serves as presenting sponsor for the Hockey Hall of Fame Inductee Ring Presentation during Induction Weekend. Sponsor since 2017 – Canadian Tire is one of Canada’s leading retailers, selling a wide range of products from automotive supplies to sporting goods and home care products. Founded in 1922, Canadian Tire has grown to include over 500 stores and 50,000 employees. 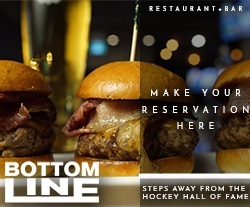 The company serves as a co-presenting sponsor to the Hockey Hall of Fame Induction Weekend/Celebration as well as the sponsor of the annual Inductee Fan Forum. Sponsor since 2018 - Corby Spirit and Wine Limited, Canada's pre-eminent marketer and distributor of spirits and imported wines, representing nearly a quarter of all spirit sales in the country, including brands J.P. Wiser’s Canadian whiskies and Polar Ice vodka, is, in addition to receiving category-exclusive promotional licensing rights, the official distilled spirit of the Hockey Hall of Fame. Sponsor since 2010 - Haggar Canada Co., a leading manufacturer of men's and women's brand name clothing products, holds title sponsor of the Legends Classic, the Honoured Member Showcase within the Hall of Fame, the HHOF Induction Showcase online section, and tailors the official Honoured Member blazers presented at Induction. Sponsor since 2017 – Imports Dragon, a Canadian-based global toy manufacturer and distributor and one of the fastest growing toy companies in North America, offers a wide range of products including an extensive line of hockey player figurines. Imports Dragon holds exclusive licensing rights to Hockey Hall of Fame-based figurines, and is title sponsor to the Hall of Fame's newest exhibit, The Mask. 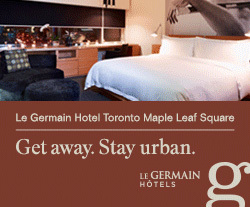 Sponsor since 2018 – Le Germain Hotel Maple Leaf Square is the official hotel of the Hockey Hall of Fame and positioned in the heart of Toronto’s sports and entertainment district. Integrated into the Maple Leaf Square complex, this luxury boutique hotel is connected to the Scotiabank Arena and offers a perfect mix of elegance, cozy comfort and all the best amenities. The hotel is walking distance to Toronto's vibrant Harbourfront, world-class sporting venues and attractions including the Hockey Hall of Fame. Sponsor since 2002 - PepsiCo Canada, a branch of global PepsiCo Inc. is he second largest food and beverage business in the world. 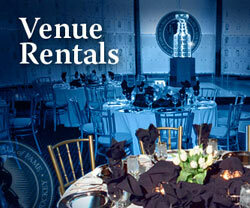 The company's wide range of beverages is used exclusively for HHOF hospitality events and in-facility vending machines. Sponsor since 1993 - Postmedia Network Inc. (Toronto Sun/National Post), a wholly owned subsidiary of Postmedia Network Canada Corp., is a Canadian news media company representing more than 160 brands across multiple print, online and mobile platforms. The company is a co-presenting sponsor of the Hockey Hall of Fame Legends Classic and partners with HHOF throughout the year on marketing campaigns and contests. Sponsor since 2011 - Tissot/The Swatch Group (Canada) Ltd., the worldwide renowned maker of luxury watches and timepieces, holds title branding to the World of Hockey Zone within the Hall of Fame, is a co-presenting sponsor of the Legends Classic, and crafts the official Honoured Member watches presented at Induction. Sponsor since 2018 – Canada's second largest air carrier, WestJet Airlines Ltd., first took to the sky in 1996 and today flies to more than 100 destinations in Canada, the United States, Mexico, Europe, the Caribbean and Central America. As a part of its HHOF licensing and promotional contract, WestJet serves as the "Official Airline of the Hockey Hall of Fame" as well as a "Presenting Sponsor" to the Hall's annual Induction Weekend/Celebration. Sponsor since 2013 - Canada Post Corporation is a Canadian Crown corporation that functions as the country's primary postal service operator as well as produces, markets and distributes philatelic products including a series of hockey-related collector albums licensed with the Hockey Hall of Fame. Sponsor since 2017 – LEGACY Global Sports is the fastest growing elite youth sports event and management company in the world, servicing over 1,000,000 athletes and their families each year. Through their licensing agreement with HHOF, Legacy hosts and manages a series of tournaments including the Hockey Hall of Fame Future Legends Invitational, which showcases the top young talents from across the globe.